Smartphone giant Xiaomi has stood out for releasing solid devices at very low prices. The company has continued that run this year with the release of several budget devices. Phones with prices between $150 – $200 have impressed the tech world but Xiaomi is taking things to a whole new level with its latest release. Today, the company announced the Redmi Go smartphone. The device is the company’s very first Android Go release. The main attraction of this phone is that it is priced under $100. The price matches what we have seen from other Go releases. The Go smartphones are not exactly the most powerful devices in the market but they do provide a solid option for those who want a cheap backup phone or simply don’t want to spend hundreds of dollars on a flagship smartphone. The Redmi Go runs a lighter version of Android called Android 8.1 Oreo Go. This version of Android is all about saving space and data for the device. The Go budget phones often come with pre-installed apps from Google, including YouTube Go. The price means that users won’t be getting top specs but the device does offer a few good things for under $100. Most of the specs are basic, including the 5-inch display and cameras of 8MP and 5MP. The 3,000 mAh battery does seem to be a stand out feature for this affordable device. The phone is powered by a Snapdragon 425 processor and 1GB of RAM, according to WinFuture. Other specs include 8GB of internal storage, which can be expanded through the microSD slot. The phone is pretty basic when compared to other Go smartphones already available. Its price is nearly unbeatable though as other competitors have better specs but go over the $100 price. The phone was officially announced by the company through its official Twitter account. The image shows what appears to be two different color options for the Redmi Go, Black or Blue. The company has not revealed if the smartphone will be available in the US. Reports do say that Xiaomi is planning to release this affordable device in Europe, where it has recently opened many stores. The device will be available there for 80 euros, which is about $92. 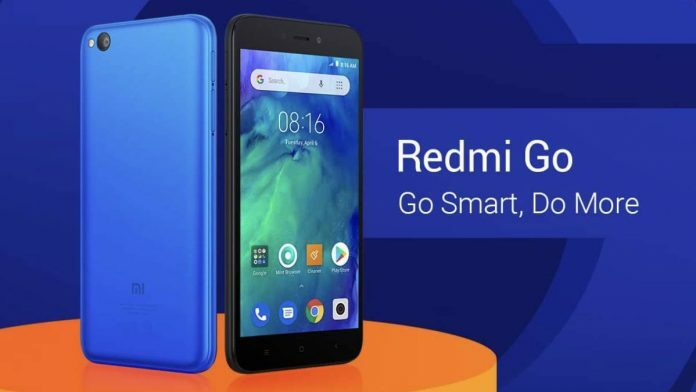 Xiaomi has done it again with the announcement of the Redmi Go. The Chinese company has been on fire lately with the Redmi series. Just weeks ago, the Redmi Note 7 was announced in China. The device is affordable and its stand out feature is on the camera department. The device, which costs just a few hundred dollars, is equipped with a 48MP camera. The announcement quickly caught the attention of the tech world since no other company had released a phone with that type of camera at such a low price. The Redmi Note 7 isn’t the only phone that has recently captured the attention of people around the world. Last year, Xiaomi was the talk of the tech world when its Poco F1 phone was announced. The device is a bit pricier than the Redmi Note 7 but it has top specs such as 8GB of RAM. The device also comes with a massive 4,000 mAh battery as well as 256GB storage for its most expensive variant.